I was at slate street from 55 to 63. 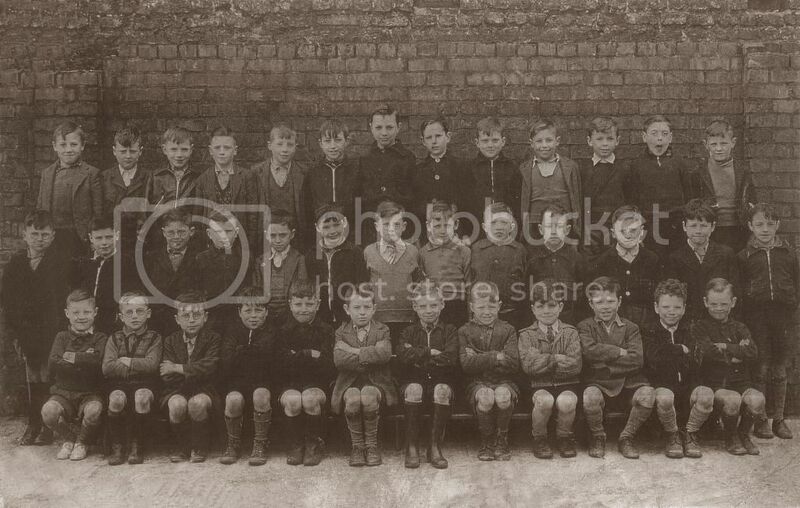 My recollections are: principal was Hugh Murtagh, Deputy Head James Magee. Other teachers were: Miss Savage, Dan Slattery, Snifter Gordon (not sniffy as suggested) George Burns, Kevin Mussen (brother of the Down football player) Miss Dealaney Mr Mulligan, (whose son was in my class) and Mr O'Hara. Hugh Murtagh's best saying when he was anoyed. "There will be wigs on the green" what ever that means "and there will be weeping and wailing and gnashing of teeth". James Magee's cane was called "tauser"
Sad about Christy Brown who was also in my class. FRANCIS REILLY TO NAME A FEW.WE HAD A TEACHER CALLED O'BRIEN FOR A WEE WHILE. I wonder if James Magee's cane was called "Bowser"? I didnt attend Slate school, went to St Johns on the springfield Road, but my father was friends with a teacher called Magee. He lived up the Hannastown road near where the car entrance to the mountain walk now is. I knew it as Tonaroy, but I am sure that is not how it is spelt. Master Magee (as I knew him) took me for some private classes just before I took the 11+. I remember my dad telling me he had a tough reputation as a teacher. About ten years ago I got a book of short stories written about Belfast and in that was a story about Bowser. Thirty years after the events and having moved to Oz for twenty of them, it was a great read. I did pass the 11+, by the way. REASONS.HEARD LATER HE WAS NOT A HAPPY CHAPPIE WHEN OVERLOOKED FOR THE HEADS JOB. HIS MUM LIVED AT THE CORNER OF MERRION STREER AND LEESON STREET. Hi I went to Slate St. School in the 40ts,the masters were Mr.Casement and Murtagh,Magee,Greer, Mulligan, Gordon and Mrs.McConville. some of my mates were Gerry Adams from Ward st. Billy Kelly from Sultan St. I would be glad to hear from anyone from that time. P7 Mr Burns, canned me twice a day every day for nothing....well, as a payback for what happened to Mulligan 4 years prior. Trying to post a pic - I need help!!! I have uploaded to photobucket, what next?